The matriarch of the family, Angie Mariani Costantino, was born in San Pietro Avellana, a small town in the Isernia province and the Molise Region of Italy. Just east of Rome, the town is on the border with the Abruzzo region, just below Monte Capraro . surrounded by forests of beech and oak trees and pinewoods, which make it a truly great tourist destination in the summer. These recipes were taught to her by her mother, who learned them from her mother, also named Angiolina. 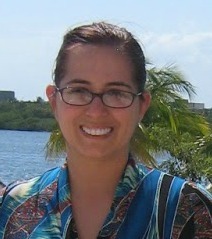 Years after arriving in America, Angie taught her recipe to her grandson, Christopher. A culinary school graduate, Christopher still follows his grandmother's tradition by slow cooking his delicious sauces in order to deepen the flavor. 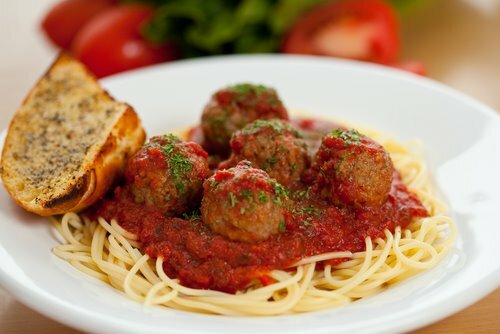 No chemicals or preservatives are added to the sauce - only hard work and love. 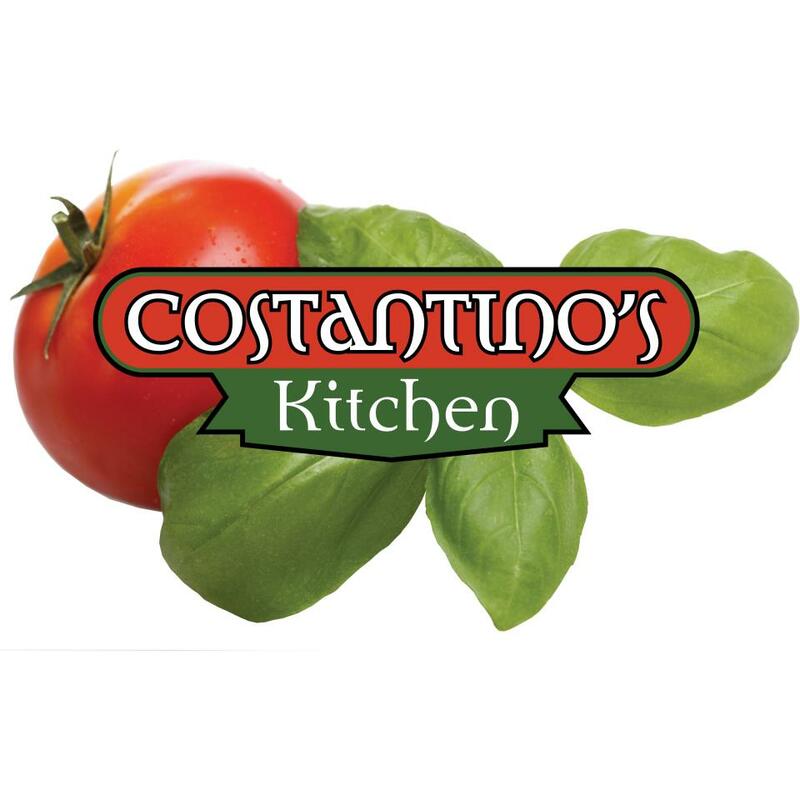 Costantino's Kitchen is dedicated to providing delicious Italian food products directly to the consumer through Farmers Markets, as well as through established, respected retail outlets, such as grocers, delis and specialty food markets. All products are made in Tempe, AZ in a health department approved facility. Great care is taken in the facility and our safety and sanitation standards exceed county expectations. 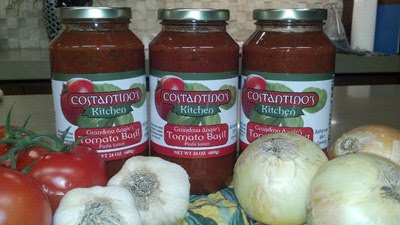 Costantino’s Kitchen produces gourmet, home-style pasta sauces from recipes that have been in the family for over five generations. 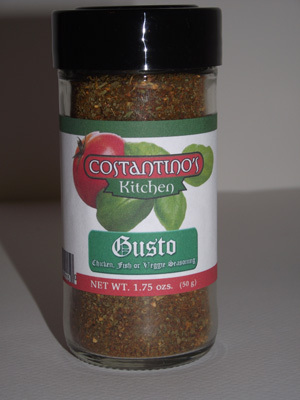 Costantino's Kitchen also makes delicious spice rubs, ready-to-make soup mixes and flavorful garlic oils. This is our all-purpose spice rub that works on everything from chicken to fish to even sautéed or grilled vegetables. Contains a special blend of herbs and spices, mixed with lemon zest, sweet paprika and black pepper. Last night I made a delicious dinner with some great items from Costantino's Kitchen. I am a busy working mom, so when I get home I have a short time to get dinner ready. So I like to have food that is tasty and quick to make. For dinner last night I cooked up some Italian Sausage, by frying the sausage in the spicy garlic oil. I cooked up some pasta then added the Grandma Angie’s tomato basil sauce. I Mixed the cooked pasta, and the cooked sausage with the sauce, topped with a splash of the Diavolo hot sauce, and sprinkled with the Italian herb blend. This meal was very easy to put together, a mere 10 minutes from jar to table. The meal tasted like it took hours to make and my family loved it. Just a warning though, my family like it hot, and with the spicy oil and the Diavolo sauce it was pretty spicy, but we loved it. My daughter went back for seconds, she enjoyed the meal too. Slice potatoes into steak fries. Soak in a bowl of cool water for about 30 minutes. Drain water and dry potatoes well. Toss with garlic oil and spice rub. Place fries over the hot side of the grill and cook until browned and crisp on both sides, about 2 to 3 minutes per side. Move the potatoes to the cool side of the grill, cover, and continue to grill until cooked through, about 5 to 10 minutes longer. Remove to a platter and sprinkle with sea salt. This will be what I am making next. It sure sounds different, and delicious. And not that difficult to make. I will have to let you guys know how this turns out. So if you are looking for tomato products, spices and oils for sauces or add to recipes I would recommend Costantino's Kitchen. I was very impressed with the quality of the products. And I am now a fan of Costantino's Kitchen for life! Give them a try you will become a fan too! 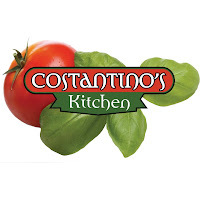 The great folks at Costantino's Kitchen are offering on of Susan’s Disney Family readers a chance to win a Costantino's Kitchen gift pack, that includes a Jar of tomato Sauce, Bottle of Hot Sauce and Garlic Oil . To enter please visit Costantino's Kitchen take a look around then come back here and let me know something you learned, or a favorite item or recipe. There are other ways to win. Please enter below. Disclosure: The reviews and or opinions on this blog are my own opinions . I received the above to review. No monitory compensation was received. I was not required to write a positive review. Your experience may differ. The opinions I have expressed are my own I am disclosing this in accordance with the Federal Trade Commissions 16 CFR Part 255: Guides Concerning the Use of Endorsement and Testimonials in Advertising . lounge, lounge bar and even wine cellar. The Pasta Fagoili soup sounds good too. 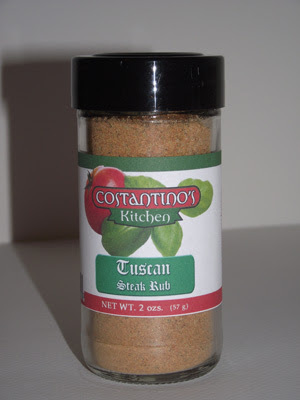 Costantino's PUTTANESCA sauce sounds good. 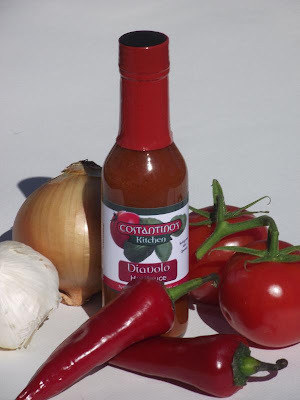 I like the DIAVOLO™ HOT SAUCE! Thanks so much for the fantastic giveaway! The soups sound really good and easy to prepare. everything you need in a little tub - how convenient. I would love to try the Italian Herb blend. I'd love Grandma Angies tomato basil sauce. I'd like to try the Italian Herb Blend. The tomato basil dipping oil sounds amazing! The spicy garlic oil sounds wonderful! Citrus Herb dipping oil sounds wonderful. I grill a LOT of veggies, this oil would be super. The spicy garlic oil sounds delish! I'd like to try the Italian Herb Blend! I'd love to try their SPICE RUBS & HERB BLENDS. I'd like to sample the mild garlic oil. I already flavor my own oil with garlic, and would like to try theirs. 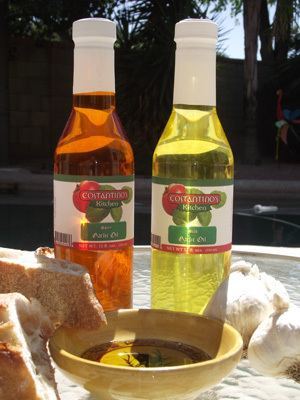 I would love to try the Spicy Garlic Oil with my fave Italian recipes. I would like the try thr spicy garlic oil. Their pasta fagioli soup sounds delicious! I like the Pasta Fagioli soup, my dad calls it Pasta Fazool! More easy, delicious recipes like the one in this giveaway. I would love the Pasta Y Fagioli. I would try the mild garlic oil. SPINACH BASIL GARLIC linguini looks yummy! Grandma Angie's Tomato Basil Sauce is my item of choice! I would love to try the Gluten free SPINACH BASIL GARLIC pasta. 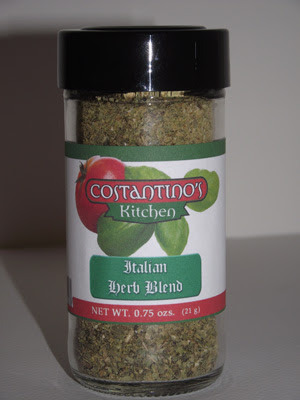 I would love totry the Italian Herb Blend!